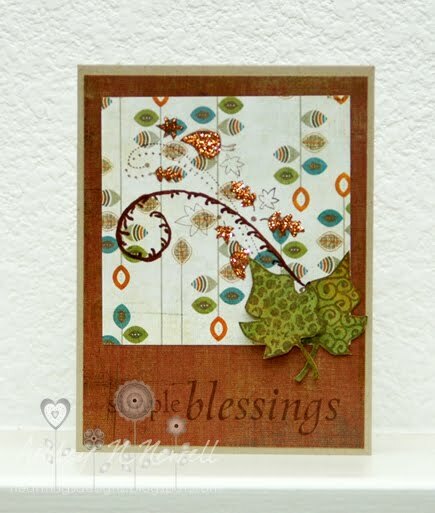 Ok, here's a card I made for the Limelight Papercrafts sketch from last week. The focus is leaves. I also made this for AJ's Unity challenge on their forum. I had some issues with this card. The flourish didn't show up as much as I would have liked but then I went over part of it with a Copic and now I'm not sure I like it. I do, however, like the Stickles on the the leaves that I filled in. I supposed I could redo this card but I always have the best of intentions when it come to that so I figured I'd just share it and if I make a better one, I'll share that too! SOOOO cute Ash! Love this!